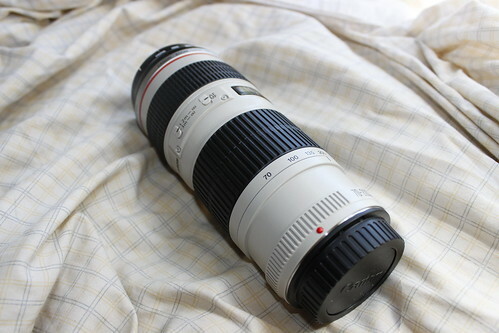 Nice lens. I love my Sigma 2.8, but the Canon F/4L is definitely a bit sharper. I almost got the Sigma 2.8 but I wanted a lens I could do portraits with and I didn't think I was going to be taking a lot of night pictures so I just got this. Pentax lenses are ancient and manual focus, but they do better than anything I can afford. Nabbed the 24-85 this summer for $100 but I'm not really happy sharpness and contrast. It does have fancy ring focus with FTM though..
How's the pentax 50 F/1.4? I only have this and the stock lens so don't feel to bad ha. I'm thinking about getting a 50 F/1.4, 100 F/2.8 macro or a fish eye next but I'd have to sell my Ripper if I were to get one and I really don't know If I can bring myself to doing that haha. The Sigma isn't too shabby at portraiture, it's all in how you use it. Mine needs the front element recoated rather badly, so it's sharpness issues likely stem from that. I was lucky enough to get a good focusing copy, and if it does get out of whack on me, well... 45pt AF is a God-send. The primary reasons I went with the Sigma are that I liked the black lens and I simply don't need weather sealing. I have a simple Kata E-702 cover that will protect it for the rain. Cost me a whopping $50 VS the $500 more I'd have paid for the 70-200 F/2.8L. Yeah it is USM. I'm kinda lost lol. What happened to your lens? Is it the outer glass or what? 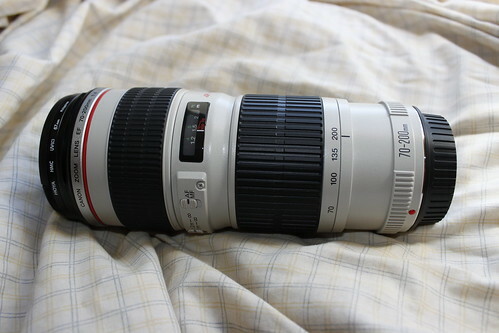 Yeah the 70-200 F/2.8L is very expensive. I was looking at getting one but at this point I don't think I could drop that much into a lens. The front element is the front piece of glass in the lens. Previous owner didn't take care of it the best, then I neglected it with some paint once and now it REALLY needs to be recoated. Meh. Nice pickup, I got his big brother and its a beast to carry around sometimes. That's what I thought but wasn't sure. How much does that cost? Do you use filters for shooting paintball? Some people said the filter can break but I don't want the front piece of glass to get paint and all that on it. Do you have a F/2.8 IS or a F/4 IS?